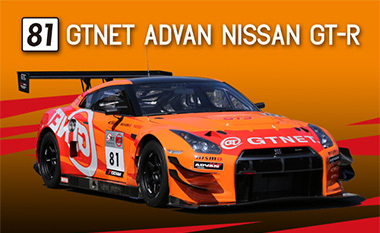 GT Net is a Japanese car network for new and used sports cars. They are sponsoring a Nissan GT-R Nismo GT3 version for Super Taikyu(endurance racing) in 2013. The older Super Taikyu cars the ST1 cars used to be all wheel drive. More recent changes have tried to equalize cars worldwide, and are now using the FIA GT3 specifications, and run rear wheel drive.